Exclusive rates for hotels and trade discounts for visitors are being promoted by UK Pool & Spa Expo organisers as part of the final preparations to host the fourth hot tub and pool exhibition at the Birmingham NEC. 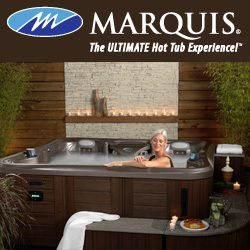 Hot tub brands including WhatSpa? and WhatSwimSpa? Best Buy award-winning Vita Spa, are among exhibitors that have already secured stand bookings for this year’s second outing of the wet leisure event, which is being hosted in the NEC’s Pavilion Hall from November 22 to November 24. Any companies wishing to book a stand or promote a new product launch in the UK Pool & Spa Expo’s New Product Zone as part of their exhibition stand booking should either email: info@ukpoolspa-expo.co.uk or contact the New Events team directly on +44 (0) 1483 420 229. Exhibitors and visitors are also being advised to secure their discounted hotel bookings ahead of the event by UK Pool & Spa Expo Sales and Marketing Manager Lauren King; who has highlighted that there will be a wide range of wet leisure products and technologies on show for visisting hot tub and pool specialists. “We believe it is a must attend event for anyone interested in health, leisure, wellbeing and relaxation,” said Lauren. “The exhibition showcases a whole plethora of cutting-edge pool and spa technologies, attracting leaders of the industry, business dealers and consumers who just want a relaxation facility in their home. Prices for exhibiting during the fourth edition of the UK Pool & Spa Expo include the Shell Scheme at £220 per sq.m, as well as space only prices of £175 per sq.m for up to 70 sq.m; £160 per sq.m for 71sq.m to 90 sq.m; and £155 per sq.m for 91 sq.m and over. All prices are subject to VAT at 20 per cent. All exhibitors will gain the benefit of free in hall lifting, free parking and free wi-fi plus complimentary use of the private exhibitor lounge. New Events Director and UKPSE Organiser Claire Saunders has pledged that the exhibition’s return to the NEC for the second time this year will see a large display from hot tub companies. Among a loyal band of UKPSE exhibitors to be securing a fourth successive appearance at the event will be Vita Spa distributor Aqua Warehouse Group. Other exhibitors who will be showcasing their products and services at the three-day trade and consumer exhibition include: Hydropool, Hydrospares, Passion Spas, Portrait Pools, and Wellis.